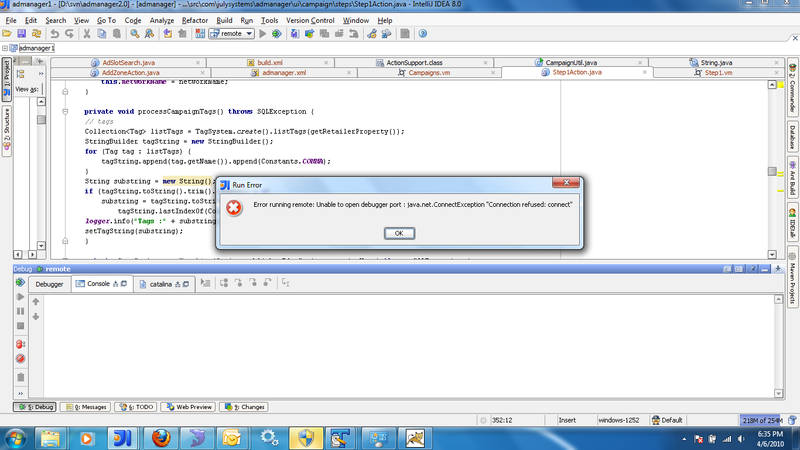 I'm getting "Error running remote: Unable to open debugger port : java.net.ConnectException "Connection refused: connect"" in idea 8, when I launch a remote application debugger trying to connect to a tomcat 5.5.28 instance. 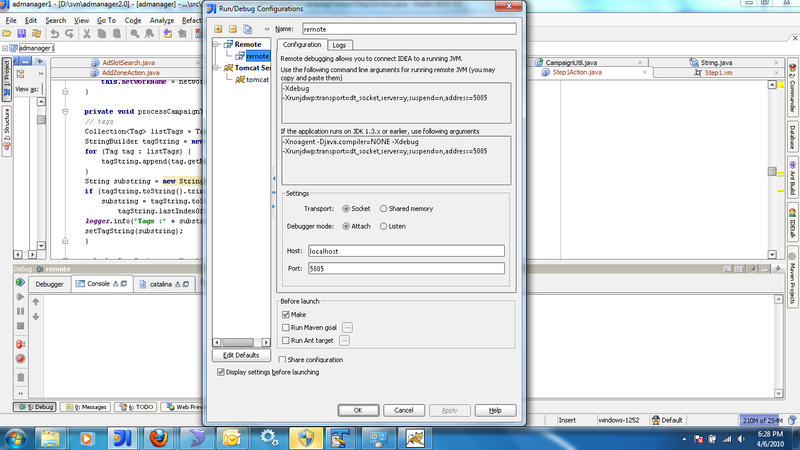 Attached the screen shots showing the configuration done in idea and tomcat. Ensured that firewall is not blocking, port being configured is not in use. Unable to figure out the root of the problem, whether it is with tomcat or idea. However, when used with debugger mode set as "listen", the tomcat logs attached to idea show the logging information correctly, as and when the requests are made, but breakpoints are not functioning. Facing similar problem with previous versions of tomcat. Any help on this issue is highly appreciated. Thanks in advance. 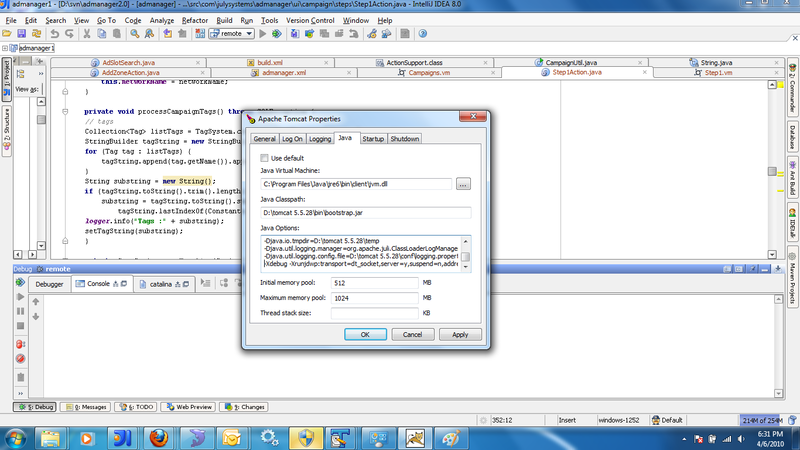 Try to put -Xrunjdwp... parameter on a new line in Apache Tomcat Properties dialog. Hi, it did work..thank you so much for the quick reply!